I spot a lot of mushrooms when taking walks and always wonder whether these wild mushrooms are safe to eat. 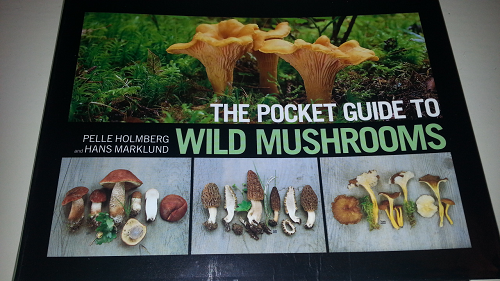 Now there is a handy book, The Pocket Guide to Wild Mushrooms by Pelle Holmberg and Hans Marklund, that will tell you which ones are edible or inedible. The Pocket Guide to Wild Mushrooms contains helpful tips for picking, cleaning and preparing mushrooms, nutrition value, varieties and a large section on edible and poisonous mushrooms. The full color photos are beautiful and exquisitely detailed so you’ll see exactly what to mushrooms look like from top, bottom, sides and cross-sections. The book has a color coding system to show specific details about the characteristics of mushroom and tells whether it can be confused with other similar mushrooms. In this matter, you’ll want as much detail as possible to avoid risking your health. If I had to quibble about something, I’d say I would have liked to have seen a map so readers can see what common mushrooms grow in each area of the country. However, the descriptions of the various mushroom species include information about where the mushroom thrives, i.e. “forests of Northern U.S. and Canada” etc. Picking up mushrooms out in the wild can be dangerous and should not be attempted without learning about them first. The section on “look-alike mushrooms” should be read thoroughly. 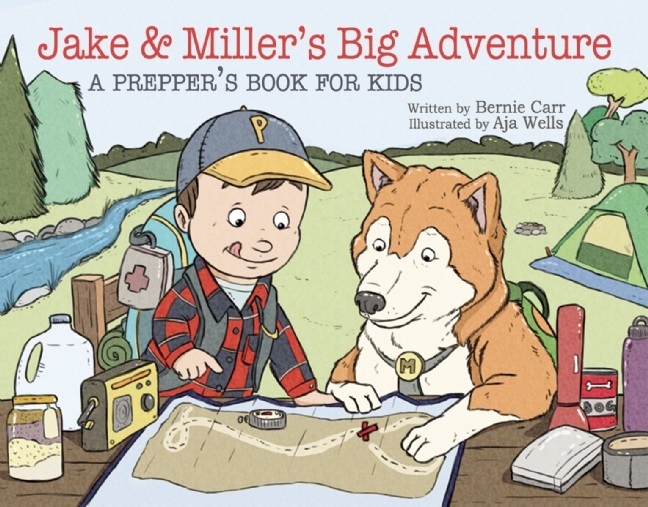 The Pocket Guide to Wild Mushrooms would be a good addition to your survival food library. Wild mushrooms grow around my property. I have no idea if they are ok to eat. I want to just pick them and bring them to my kitchen and cook with them but do not want to poison myself or my family. Thanks for the giveaway! We’ve moved into a home with a woodsy area out back and have noticed some mushrooms. Would love to know if there were any I wouldn’t have to leave for the deer! I have always been afraid I would kill myself eating wild mushrooms. That is why I need this book! I have been interested in foraging for food since I was a Boy Scout earning my Wilderness Survival merit badge. Mushrooms are a food source I do not know a lot about and would like to learn. I have always wanted to learn how to forage for my food. I just don’t know what’s good to eat and what’s not. We love finding food in the forest! Only know one mushroom well enough to gather so far so this book would be so helpful! I just started foraging. The only mushrooms I’ve foraged so far have been puffballs. I’d love to hunt some others with confidence. I’m interested in learning how to forage for food because it’s something we simply need to know. We have some amazing mushrooms that pop up in our yard every year. They’re huge and seem to appear overnight. So cool. If we learn they’re edible we can stop wasting them and start enjoying them for more than just their display. My first experience foraging was a complete accident. I was helping a friend carry in her groceries, and there was a yellow thing on a big crack in her sidewalk. Thinking her young son had left a cheeseburger wrapper crumpled on the ground, I kicked it to the side (my hands were very full and I’m clumsy… no trip hazards for this gal). Upon returning to the van, I noticed it had broken apart. Wait a minute, cheeseburger wrappers don’t do that. There was a hollow stem sticking out of the crack. I HAD KICKED A MOREL MUSHROOM! For a second, I panicked. I’d had them the year before when the customers at my mom’s work brought them in at the monthly potluck. I knew how good they were, and how very valuable. Then, I thought maybe where there’s one, there are more. I yelled to my friend to come see, and she stopped hauling groceries in and we began looking around the yard. I spotted a yellow thing in her flowerbed, and sure enough under the leaves of her landscaping, there was a veritable goldmine of big beautiful morel mushrooms. I stayed over with her a lot in those days because she and her hubby were family friends and my mom worked nights, so that night I helped Jenny fry up the best darn mushrooms I’ve ever eaten. I was only 16 at the time, but after that I was hooked on mushroom foraging for life. I am very interested in sustainable living and foraging for food. I grow my own veggies and some berries and fruits. I also have chickens for their wonderful eggs. I just got my first shellfish and crabbing license and plan on foraging for yummy Pacific Northwest treats. I am an avid hiker and most likely have past by many patches of yummy mushrooms……so I am very interested getting information on identifying the edible varieties. The Pocket Guide to Wild Mushrooms sounds like just the book I should have in my backpack on next Autumn hike. Nice give away! looks like a handy guide to help learn about foraging shrooms! Every year I go out mushrooming with my husband and every year it seems the harder I look the less I find. However, my husband follows me and picks the ones I didn’t step on! I (we) would like to learn about foraging for mushrooms. We have some that grow in our yard and we see them in the woods when we hike. Yet we do not know which ones are safe to pick and eat. It would be a good book to learn from. Thanks for the contest. I hope you are enjoying some good coffee! I went foraging for mushrooms one morning with friends in the Santa Cruz mountains… I was the only person that found anything edible! My friend was experienced and had a basket and large machete-style knife for picking the mushrooms without touching them. It was a great experience and I’d love to go again, with the help of The Pocket Guide to Wild Mushrooms of course! I’ve been a morel and hen of the woods forager for quite a while. This year, the preschoolers in my class have gone mushroom crazy – we have photographed hundreds, but have the most fun with Giant Puffballs. This year, we cut one up and sauteed it in butter. While they were hacking away at it there were lots of comments relating it’s texture to marshmallows. An idea was born, and the the next one we found was enjoyed roasted over a fire! I have a copy of this book checked out from the library – how wonderful it would be to have a copy for keeps. I have always enjoyed foraging for wild foods and have just recently started mushroom hunting, I enjoy finding and identifying them , a pocket guide would be Great instead of having to carry them home and then looking them up online. I do not eat mushrooms. I never liked them and once I read that they are the natural form of MSG which makes me ill so, maybe that is a good thing. The thing is my husband ADORES them. We often have some show up in our yard and I am always wondering if I should kick them or pick them for his dinner? I also have a foraging story but it is not mine. My father has told this for many years. He knew some people who were hippie-free experimenting kinds of people. One guy thought he had found a good list of which mushrooms were good, which ones were poisonous and which ones were psychedelic. They wandered through the woods eating as they went. After a while they checked back to the list and one of the guys decided he had made a mistake and had eaten a poisonous one. They started driving very fast to go to the hospital and got stopped by the police who accepted the excuse, put them into the squad car and drove even faster–lights and siren blaring to the hospital. Stomach pumped, contents analyzed. After the Dr informed him that no poisonous mushrooms were found, Dr asked, “Did you learn your lesson NOT to eat wild mushrooms?” The guy responded, “Heck NO! It was GREAT! All the yum of eating the mushrooms and the excitement of the car chase and police ride, flashing lights and getting my stomach pumped! I can’t wait to do it again!” I probably didn’t do it justice. He has many more details and people usually cry they laugh so hard when he tells it. But nobody really gets hurt so you might think it is a funny story. I want to forage for mushrooms but I’m scared because I know some are poisonous. Sometimes when I’m walking in the woods I see mushrooms and would love to have the knowledge about what they are. My family and I are working feverishly to become more self reliant, self sustaining, and to generally reduce what we have and use. Simplifying life sounds far better than the stressors of modern life. Part of our movement in this positive direction is sourcing food locally, using what we can from the land, and foraging for as much as we can. This would be an excellent resource in learning some safeguards in our searches! Many more plants out there to Forage. Just have to learn what is what. Best to have a Guide to be sure! I live in Randall, MN and enjoy each year gathering Morels here on the property–so delicious and would love to know more varieties edible that may grow here. I was looking for a book like this with pictures. My husband went foraging and brought home mushrooms. Thank goodness he stopped by a buddy first to drop something off. The buddy was an mushroom enthusiast and told my husband not to use the mushrooms because they would make him and I sick. Apparently they looked like a morel but they weren’t a morel. When we were children living in the Alaska bush my brother and I decided to pick some mushrooms we saw and bring them home to see if they were edible. My mom got out the mushroom book and, lo and behold, Chanterelle mushrooms. Mom made soup with them, fried them, added them to stews. Free and yummy! I grew up eating a wild mushroom my mother called dry land fish. I’d love to be able to recognize them and eat them again. They were delicious. I love wild edibles! Over the past couple years I have been learning more and more, and finally this year I learned to identify chantrelles and morels. I feel so fortunate to live in a place that has these treasures out there for me to find! I love taking the time to spend in the forest, and if I’m lucky enough to walk out with dinner, all the better! I also love bringing my kids out with me, they’re 8 now, so they are great helpers! like everyone posting here, I do not have my own identification book, there are so many mushrooms out there, I would love to know more about them, and which ones are ok to eat!! yum!! Mushrooms are a big foraging challenge for me – which is why I’ve never eaten one in the wild. I remember foraging for mushrooms as a kid with my dad and uncle. It’s been so long that I’d be afraid to trust my instincts but would love to get back into it! Mushrooms are so darn tasty! I think knowledge of foraging for what’s edible is another of the common skills many of our ancestors had that have not been passed along. Instead of learning first-hand from an experienced mom or grandma most of us have never been taught what is good or bad. I’d love to be able to learn what wild mushrooms are edible and be able to pass the information along to my kids! I have a lot of mushrooms growing on my property but I don’t know if they are ok to eat or not. This would be a great win because I truly believe it is all gonna hit the fan and I will need this help in feeding my family. We’re interested in foraging. It’s a handy skill that might be of use one day. I have just gotten into learning about things you can eat and am teaching my children along the way. My older daughter got me tickled one day when they came in from playing softball. She said she looked over at her brother and he was picking dandelions and eating them and she thought, “Wow, I’ve sure got a “special” family” 😉 LOL!! We are looked on as odd, but in case of an emergency, we will be the most popular! Thanks for the giveaway!! I’m scared to death of trying to figure out which mushrooms to try… this would help! I have gone foraging for wild mushroom in the forest around our cottage with one of my nieces and my brother for a couple of years now. They fry them up and they taste wonderful. I dare not go by myself as I do not know which are safe to eat and which are not. 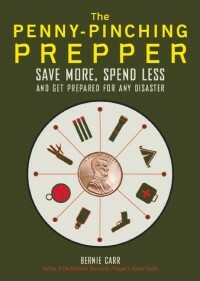 Having a book like this one would help me identify the safe ones and I would feel confident in going by myself. I would love to forage more than I do. We used dandelions for salads a lot this year, and I tried my hand at dandelion jelly for the first time. I would love to know how to find edible mushrooms! In the book the Worst of Times, it tells how some people in the dustbowl survived by eating yucca, and tumbleweeds. Linda Runyuns dvd is great for foragers and tells how to use the tumbleweeds.Her books are also really good and include recipes.I will be studying these and look forward to trying my hand at foraging next spring. Love mushrooms and would love to have this handy guide.